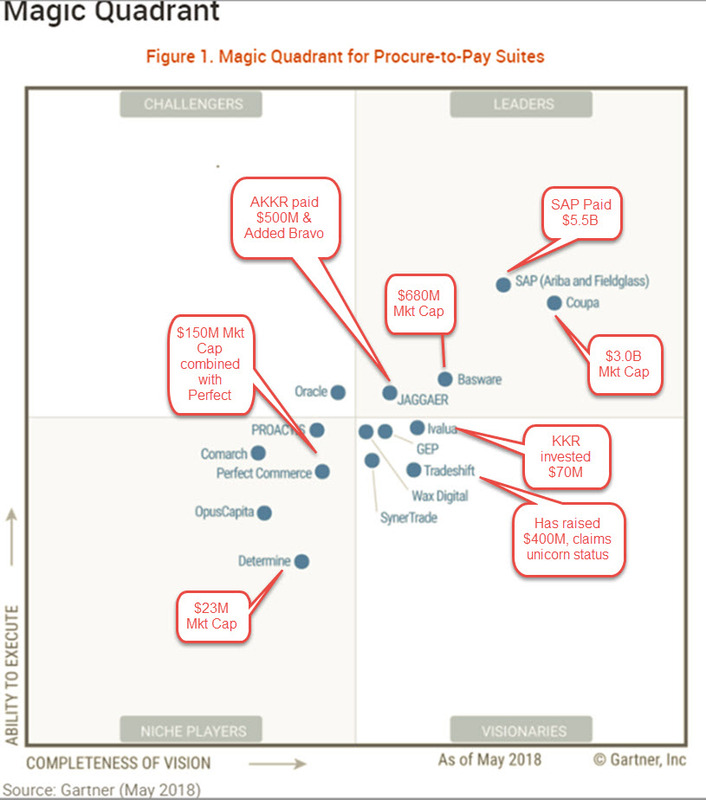 The 2018 Gartner Magic Quadrant for Procure-to-Pay Suites has been released. You can download the full report here or here. 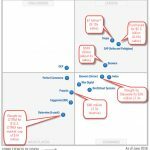 The “Leaders” quadrant of the 2018 Gartner Magic Quadrant for Procure-to-Pay Suites are SAP (Ariba and Fieldglass) and Coupa, with Jaggaer and Basware lagging a bit, but still making it in the coveted upper-right quadrant. Those of you who are serious about these reports can easily obtain them, so I’m not going to cover the findings in any detail. 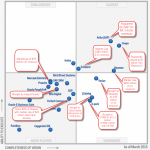 For most of you, the only surprise will be that there is a Polish systems integrator, Comarch, listed in the “niche players” quadrant. I’ve been following this market for a long time and had never heard of them, but their list of clients (see here) is impressive. (It’s unclear how many of these clients are for P2P software.) Comarch is also public and sports a market cap of about $350 million. It just goes to show what a big world it is! I’m interested in the relative market capitalizations of these companies, especially given the number of them that are publicly traded, as well as the recent, intense investment activity in the sector. So, as I have done before (see here), I’m adding what we know about the market caps of the various players to the 2018 Gartner Magic Quadrant for Procure-to-Pay Suites. a 20% projected growth rate. The bottom line is that SAP paid $13.8 million for these businesses, but they could be worth well north of $25 billion now. This history bodes well for those who are bullish on Coupa whose market cap is now $3.0 billion. 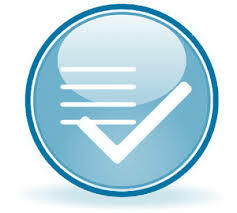 Coupa, Basware, Proactis/Perfect, and Determine are all publicly traded. Those are current market capitalizations. Tradeshift, Ivalua, and Jaggaer are all still private. Their valuations are therefore subject to speculation. Each of these companies has raised substantial money in the recent past. In fact, Tradeshift raised $250 million last week (see here). 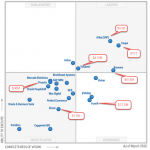 Take the Gartner Procure to Pay Magic Quadrant, add company valuations and voila you can see who is ripe for the picking!! What about the Amazon comet? Who are the mammals of the bunch? Or roaches? Survival isn’t always pretty. BTW, how do I book you to speak at a bar mitzvah?